MRSS India associated with ASSOCHAM’s national conference & awards on Cold Chain technologies, convergence and Capacity building held on 22nd May 2018 at Hotel Shangri-La, New Delhi. Every year fresh produce worth INR 133 billion are thrown away because of the country’s lack of adequate cold storage and transport facilities. 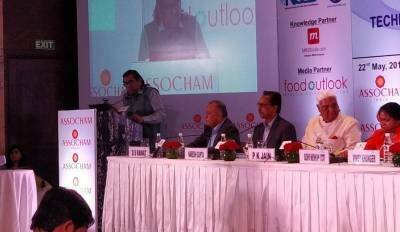 The role of Ministry of Food Processing Industry, Government of India is instrumental in development of cold chain infrastructure in India which is implementing schemes for its promotion along with other departments such as National Centre for Cold-chain Development (NCCD), NABARD, National Horticulture Board (NHB) and State Governments. “The main focus areas to consider are the assessment of current scenario of cold chain industry and creation of cold chain infrastructure keeping in view of lower consumption of fuel and power,” says Sarang Panchal, Managing Director of MRSS India. Delegates present at the event were Shri P K Jain, Chairman, ASSOCHAM’s National Council on Food Processing and value Addition; Shri Viney Khunger, Managing Director, Carrier Air Conditioning & Refrigeration limited; Shri Raj Sharma, Chairman, MRSS India; Shri Pawanexh Kohli, Chief Advisor & CEO,NCCD; Shri Naresh Gupta, Managing Director, NABCONS; Dr. B B Pattanaik, Chairman, WDRA ;Sadhvi Niranjan Jyoti, Hon’ble Minister of State for Food Processing Industries, Govt of India ;Shri D. S. Rawat, Secretary General ASSOCHAM ; Shri Viney Khunger, Managing Director, Carrier Air Conditioning & Refrigeration limited Presentation: End to End Cold Chain Logistics solutions for the entire lifecycle of the product ; Shri Jossy Rebello, Head Cold Chain Logistics, Sical Logistics Limited Presentation: Technology and Convergence of Rail - Road Transportation in Cold Chain Logistics; Shri M L Arora, CEO, Fresh & Healthy Enterprise Ltd (A CONCOR Company) ;Shri Samit Jain, Managing Director, Pluss Advanced Technologies; Anurag Chouhan, Head – Corporate Sales ,Tiger Logistics India Ltd.; Shri K K Mitra, Senior Vice President (Tech & Marketing), Lloyd Insulation India Pvt Ltd ;Shri Dhaval Agarwal, Tuscan Ventures. 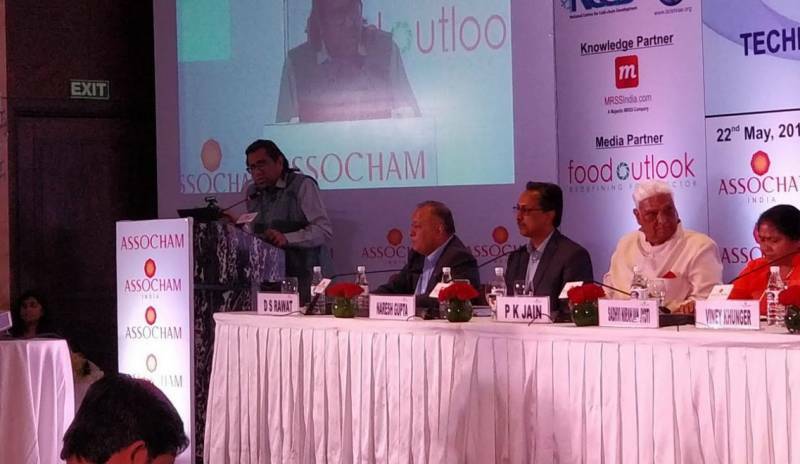 Raj Sharma, Chairman of MRSS India said “Data is going to be a game changer in 'Cold Chain' not only globally but in India as well. We are excited to be part of this evolution which is triggered by 'Fresh Consumption' Revolution”.